Brown paper bags are trending as of late and, judging from the number of ways you can be creative with them on Pinterest, it’s not hard to see why! As more people are moving away from using plastic bags, brown paper is now the preferred reusable and biodegradable alternative. Apart from holding all your groceries, they great for party favors, trick or treat goodies, temporary storage, gift bags, and a whole lot more. No doubt a plain brown paper bag is bland but with a bit of creativity and ink, it can be transformed into something with more personality. Rubber stamps look cool, but when not in use, they just become clutter in your craft drawer. With the low prices of ink these days, why not save yourself the clutter, skip the manual process altogether, and print directly onto your bags for recyclable bags that look like they’re fresh from the stationary store? 1. Make sure your printer can handle the load. Some printers aren’t designed to take on heavier weight paper and brown paper bags come in various paper weights. Be sure to check if your printer will work with your paper bags before spending money on it. You can check your printer’s manual, look up what paper types are compatible with your printer online, or simply test print on one bag to find out! 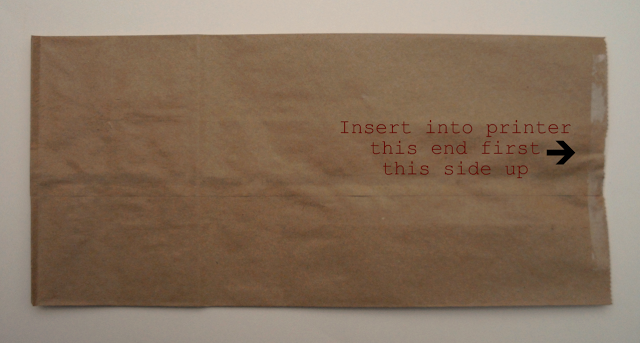 A note on using laser printers: We suggest using inkjet printers when printing on brown paper bags. Not only do most laser printers not accept thicker paper, but since it applies heat on paper, it might burn your bag. 2. Tape down the flaps. 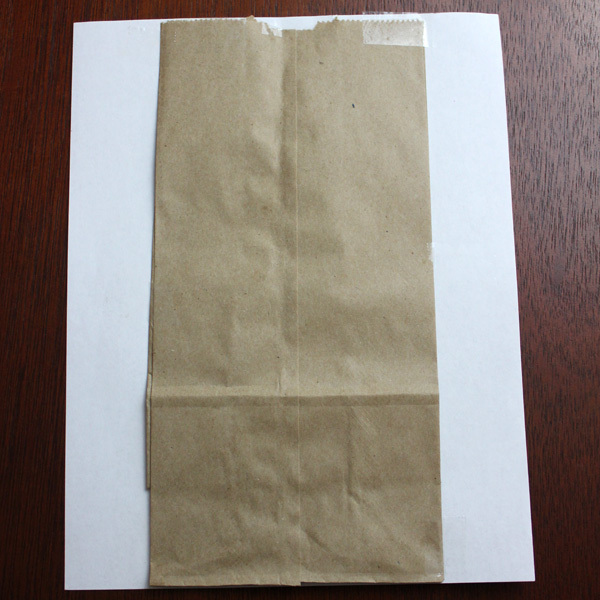 Be sure to tape down the flaps of your paper bag if it has any so it doesn’t get wrinkled or jam your printer. No need to worry if you’re using flat paper bags. 3. Opening side of the bag should go into the printer first. 4. Avoid printing on the lower part of the bag as this might not print well because of the flap. 5. Change the paper setting of your printer to extra thick paper. 6. Center your bag on a piece of computer paper. Printing on paper bags is essentially tricking your printer into thinking the bag isn’t there. In order to get a centered print on your bag, the bag itself needs to be well centered on a piece of paper. Once you have your bag placed, tape it down using lightweight scotch tape or painter’s tape. You don’t want tape that is too strong, because that will make it more difficult to remove the bag once it’s printed. 7. Load the bag-sheet into your printer. Hit print. See, wasn’t that easy? 8. Experiment with draft mode. Most printers have multiple printing modes designed to limit the amount of time and ink you end up using during the course of your print. Draft mode is designed to produce prints quickly, and it requires quite a bit less ink than even normal print mode. Run your design through on draft mode to see if the quality meets your standards. 9. Beware of handles. Ribbon, rope, and other accents should be attached to the bag after it’s printed, not before. Trying to print a paper bag with handles risks snagging up your printer, potentially damaging the printhead or other internal components. This may seem obvious, but sometimes in the rush to get a project started we forget! 10. If you are printing a lot of bags, consider cheaper inks. Compatible ink cartridges use recycled materials and are designed to give you the same print quality as you’d expect from brand name cartridges. They also cost upwards of 40 percent less than original manufacturer cartridges as well. Buying compatibles from a reputable vendor will help you save money without sacrificing results. Now to the fun part. Here are some creatively printed brown bags to get you INKspired! My personal favorite, this is a confetti toss program bag by Mavora. 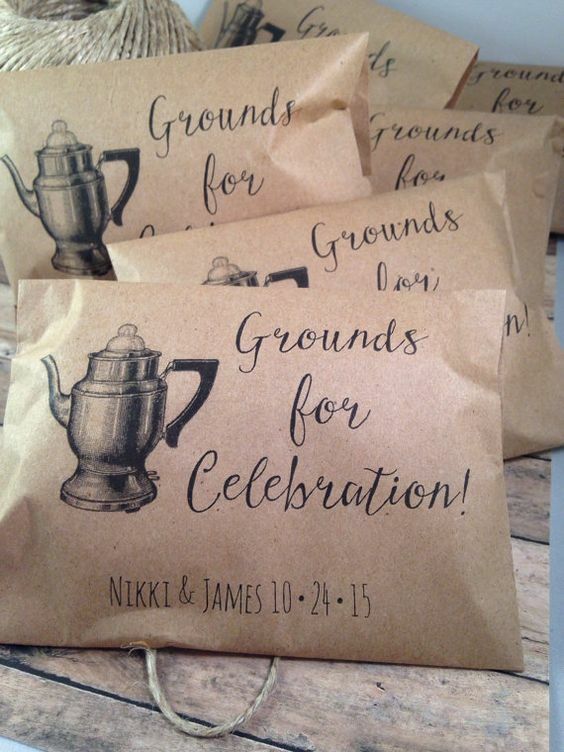 Coffee ground favor bags by Details on Demand. Very neat idea. 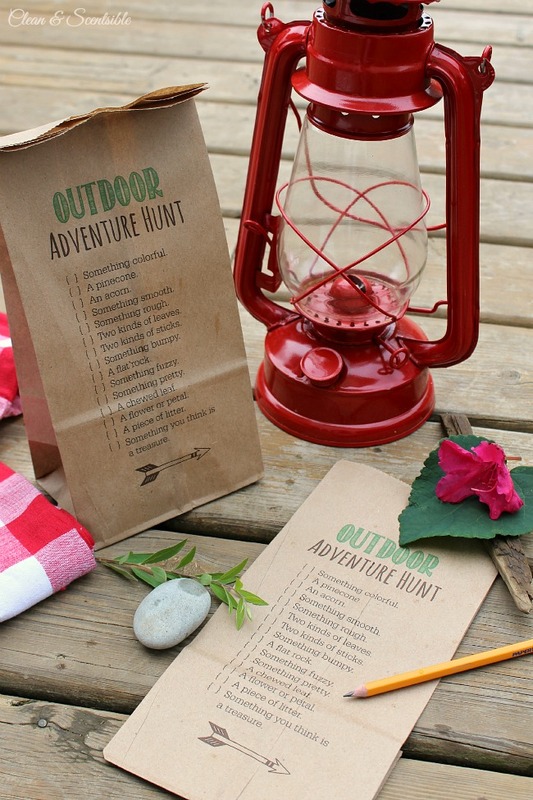 Outdoor scavenger hunt bag with the list printed on it. Brilliant. 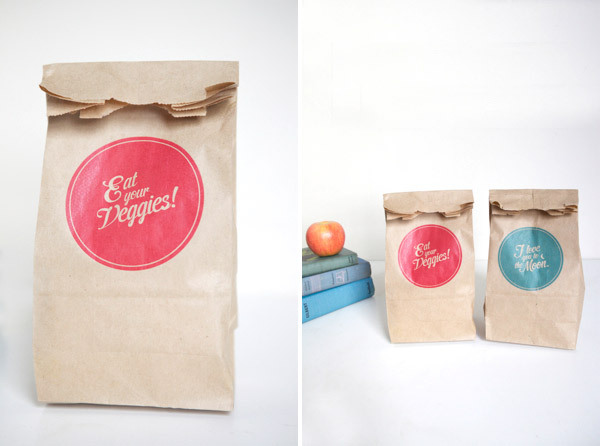 An inspiring take on brown lunch bags from Oh Happy Day. 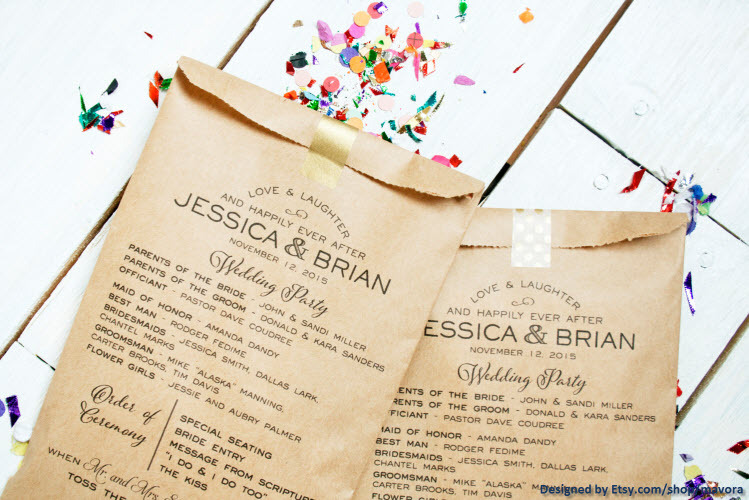 Printing your own custom paper bags is a fun and easy way to make your next gathering extra special. It’s also a great way to get the kids involved, designing a logo or choosing their favorite images to print. There’s an endless world of creative ways to use brown paper bags and—with the help of your printer—it has never been easier to show off your style.